After Jack Reacher handled things The Hard Way, FBI Special Agents Kim Otto and Carlos Gaspar are dispatched to find out whether Reacher is dead or alive. But they aren’t the only ones who want to find Reacher this time. A corrupt Army General is on the hunt, too, determined to make sure Reacher reaps what he sowed. Reacher’s friends Brewer and Pauling are in the crosshairs. Otto and Gaspar, too. When powerful enemies with their backs against the wall will stop at nothing to make Reacher pay, can Otto and Gaspar find the secrets Reacher left behind to keep his friends alive? Lee Child Gives Diane Capri's Hunt for Jack Reacher Series Two Thumbs Up! NEW from award-winning New York Times and USA Today Bestselling Author Diane Capri! "I 'stumbled' on this title and was attracted to it as I am a Jack Reacher fan. Loved the story and the author's writing style. Couldn't wait for more so I purchased [Raw Justice] and want more Jennifer Lane - please?! Fatal Distraction is also on my Kindle to read list!" 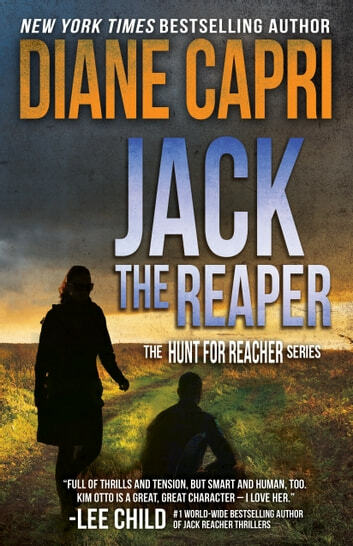 "I have been a Reacher fan for years and was excited when I heard of Diane Capri's take on 'Finding Reacher'. 'Don't Know Jack' is a good companion to Child's Reacher books and recaptures the flavor of the Reacher mystique. I am waiting anxiously for the next book in the series and the next and the next, and so on." "All Child fans should give it a try!" The well written characters draw you deeper into the story and makes it hard to put down. It's a fast paced tale that keeps you guessing as you try and figure out what will happens next. As always, I found the race against the odds very enjoyable and I'm looking forward to more adventures of Special Agents Kim Otto and Carlos Gaspar. Well written story with well developed characters involved in a fast moving, riveting storyline. FBI Special Agents Kim Otto and Carlos Gaspar are not the only ones searching for Jack Reacher. The agents find themselves involved with a unsavory general looking for something valuable. He will kill to retrieve it. Murder, disorder, trouble seen to follow the agents from Detroit to New York City then onto upper New York State followed by West Palm Beach. The author weaves the past and present together without difficulty. You will feel as if you are part of the story. 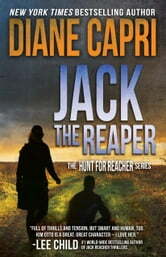 Diane Capri’s Reacher is seen by the agents with a different opinion than Lee Child’s Reacher. This makes the continuing Saga of the Hunt for Jack Reacher a intriguing and interesting series to read. This is book # 8 in The Hunt for Reacher Series but can be read as a stand alone. I volunteered to read Jack the Reaper. Thanks to the author for the opportunity. My opinion is my own. I didn't think it was possible for this series to get any better, but I sure was wrong. Wow. Reacher is everywhere and nowhere as FBI agents Kim Otto and Carlos Gaspar track an enigma wrapped in the veil of a ghost. What is Reacher up to...if he really is alive. Or did he die in the explosion at the end of the previous book? Was it him who watched Agent Otto as she slept, or just the ghost of Reacher as he continues to haunt her thoughts, haunt even her dreams after...well, just after. I'll leave it at that. Dead or alive, somehow he's involved with a whole bunch of missing money that sends this book on a thrilling road filled with twists and deadly curves, including the curves of Lauren Pauling. Finally, we get a clue as to the woman that may have hold Reacher's heart. She might even know where he is and what his game is. Or she could be as elusive as Reacher. As deadly. The plotting is excellent in this novel, the storytelling nearly flawless, but what hooked me, as it has in previous episodes, is the oh-so human evolution of Otto into her own skin, her own power, and her place as a lead agent in the FBI. She's got her own story that is almost as enigmatic as Reacher's (she makes no effort to stop her fall), that in many ways mirrors Reacher's story. She has her fears and her scars, but she's obsessed with Reacher and acts fearlessly on instinct, driven by her determined to find and understand a man equally determined to remain hidden, and bring him to justice. But what exactly are his crimes? A thoroughly enjoyable read, a satisfying thriller, and a complex web of characters and their fragile ties. Above all, this is excellent storytelling that touches the heart. Absolutely loved this one. You don't have to be a Jack Reacher fan to enjoy, but you should be! Once again Diane has done it. Lots of suspense and gruesome murders. Wonderful story line. Hard to put down. Characters are authentic from book to book.